On the 8th of November, Paradise went up in flames. This small town in Northern California held about 28,000 people, many retirees on a fixed budget. This was not a rich town. The median household income was $41,000, 94 percent of the residents were white, and a third of the town was occupied by people who rented their homes. Less than one-quarter of its residents had a four-year college degree. In 2016, Donald Trump won Butte County by four percentage points. It is fair to say that if Chico, the county’s liberal bastion, had not been included in the count, the margin would have been much higher. I know all of this because my parents lived there. They fled, like the rest of the town, on that windy rainless morning last month. 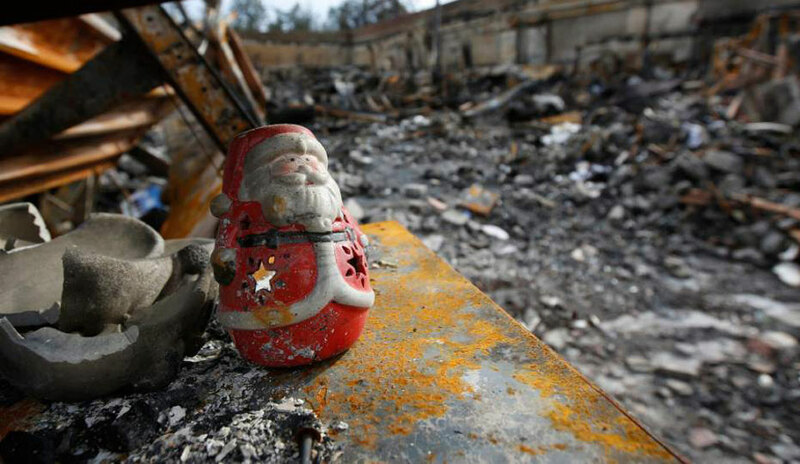 It took us three weeks to find out definitively that their house was absolutely obliterated. 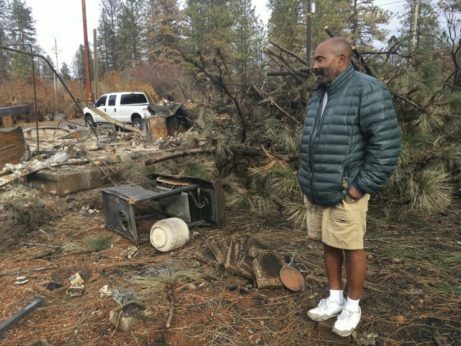 Looking at the picture of the property, provided by CalFire, gave the same emotional punch as seeing an empty child’s swing in action or kicked over tricycle with wheels still turning. All that remained amidst the rubble was half a chimney and a brick retaining wall that my father had built with his own hands, with skills learned from his father before him, a bricklayer by trade. Everything else was ashes. 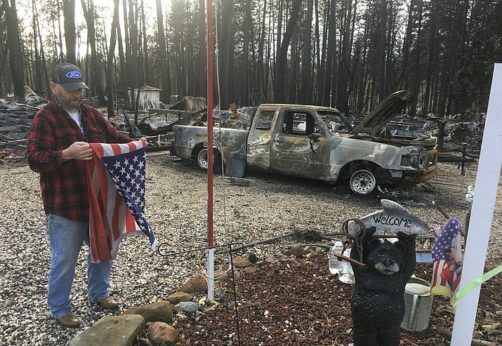 The fire that burned Paradise, the Camp Fire, was one of the worst in the state’s history, certainly the deadliest. The combination of drought conditions and high winds, plus the peculiar geography of the place, located on a ridge that, during the fire operated as a chimney, made this a fast-moving and unusually destructive fire. At its peak, it was burning a football field every three seconds. There was seemingly little time between the announcement of a nearby fire and my dad seeing flames in his backyard. Thousands of people fled for their lives, 88 at last count not making it, some dying as they drove away or trying to leave their burning cars behind. When it was over—and it took weeks to contain the fire—almost 14,000 homes, approximately 95 percent of all the homes in Paradise, were turned to ash. I will leave it to others to debate who is to blame for this particular fire. We all know the bigger answer already. Warmer climate, attributed to human extraction and use of fossil fuels, is just going to make fires like the one that destroyed Paradise more common. We are literally setting the planet on fire, and I don’t see any solutions coming down the pike in my lifetime, certainly not in my parents’. What I do want to address is our response to those in the fire’s destructive pathway. During the recent gilets jaunes (yellow vest) protests in France, over, of all things, a fuel tax (which would surely decrease the consumption of fossil fuels), graffiti went up all over Paris (you’ve got to admire the French their ability to build barricades and make protests look like protests). One graffito read “la crise climatique est une guerre contre les pauvres—climate change is a war against the poor.’ I think whoever threw this one up was onto something important. More than two weeks after the Camp Fire, about a thousand now-homeless people were still camped out in a Walmart parking lot. I followed the story intently, and one of the things that most struck me about the situation was the total lack of services. FEMA had no presence there. Everything was by donation—Comcast provided a hot spot Wi-Fi, local food trucks gave out meals, area residents donated clothes and toys. In other words, people were huddling together and helping each other, with little to no state services. After the rains came, all these people were displaced to various shelters around Chico. But no one knew who gave the orders. Now, more than a month later, FEMA still appears to have no plan on how to get the 28,000 people displaced by the fire into short-term or long-term housing. Climate change may not be a plot against the working class, but we will definitely face the brunt of its first impacts. We can take care of each other, as many private citizens seemed to be trying to do in Chico, or we can save ourselves first. As Evan Osnos reported in one of the most sobering stories of the past two years, some of the wealthiest people in America are choosing the latter option. These “doomsday preppers” stockpile weapons, build garrisons, buy property in New Zealand (as a form of “apocalypse insurance”), or make arrangements for getting off the planet entirely. But we don’t need to follow Elon Musk here; we see it closer to home in the renting of private firefighters to save wealthy neighborhoods. Or the building of a great big wall on our Southern border to keep the refugees of climate change at bay. Right now, the fears of the wealthy class and the strategies of isolation it has adopted appear to have the upper hand in the shaping of our policy. We’ve teargassed women and children seeking asylum. We’ve set up detention camps for teenagers. We’ve sent thousands of troops to the border. Most Americans do not agree with these policies, although misleading stories in the media, presidential tweets, and fear itself can always swing people in the other direction. Many of us were surprised when the Bundy family (Cliven and Ammon) came out this past week criticizing the administration’s border policies. The Bundys are well-known in my parts for their illegal occupation of the Malheur National Wildlife Refuge in 2016. They are usually portrayed as right-wing libertarians who would happily roll back all federal protections of the environment. The month-long armed occupation, which protested federal management and control of public land, ended with one death, several arrests, and little jail time for the organizers, sparking outrage among many on the left. Ammon Bundy said the presidential characterization of the migrant caravan was “fear-based, and frankly, based on selfishness.” I think we have to agree with him. However boneheaded and distasteful the Bundy-led occupation was, it was also a striking example of working-class solidarity. This was very evident in the footage aired as part of the PBS documentary, No Man’s Land. It is also a good reminder that allies can pop up in a number of different guises and places. Climate change is a war against the poor. One could argue that selfishness, greed, and capitalism have got us into this mess. We may never be able to get out of it. The human race may not be saved. But how we choose to deal with its consequences, whether we let the rich build bunkers and fly to the moon, or we work together to protect, shelter, and welcome those hit first, well, that may decide whether we are worth saving at all. Allison L. Hurst is Assistant Professor of Sociology at the School of Public Policy at Oregon State University. 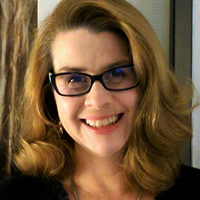 She is currently working on a project called "The 20th Century Equality Project," which re-examines the most economically egalitarian period in U.S. history, 1948 to 1964.